FRAMINGHAM, Mass.--(BUSINESS WIRE)--Is your current breakroom lacking and in need of an upgrade? Do you actively avoid the breakroom because it doesn’t represent an inviting and collaborative space where you want to spend time? If so, you are in luck. 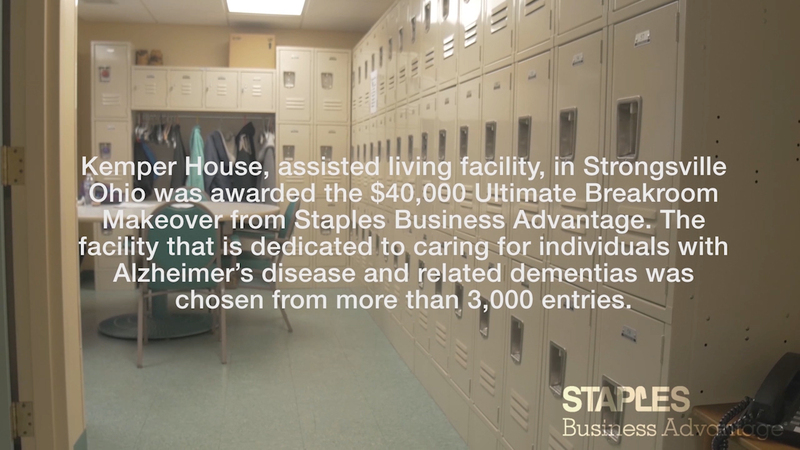 Staples, Inc. wants to makeover your breakroom and show how office design contributes not only to office morale, but also to productivity, collaboration, recruitment and retention. Starting today, all U.S. businesses with at least 10 employees are eligible to enter for a chance to win the makeover. 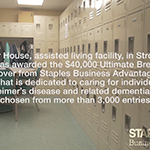 As a leader in the breakroom space, Staples Business Advantage, the B2B division of Staples, will provide the grand prize winner access to its solutions – including coffee options, healthy snacks, office furniture, cleaning solutions, and technology products – as well as expert design and installation services. The winning breakroom will also be the focus of a professional workplace study to demonstrate how a changing workspace can impact office behavior and culture.